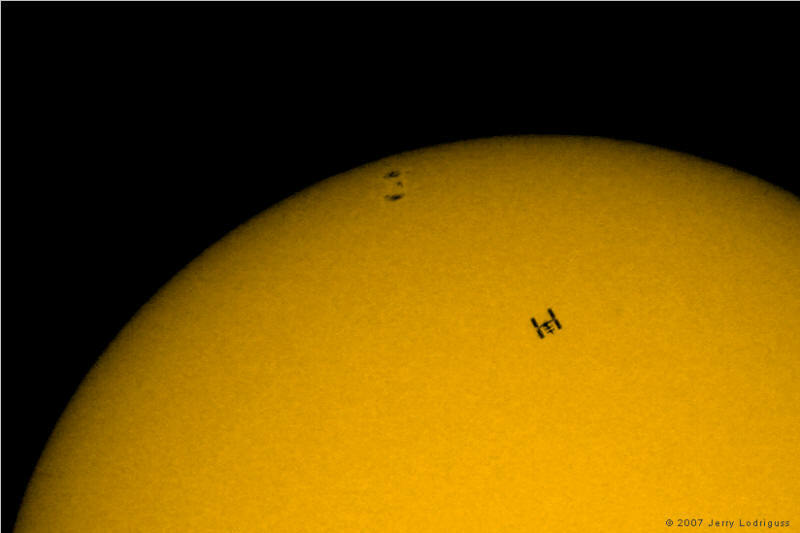 On Sunday afternoon, July 8, 2007, the International Space Station transited the sun for observers along a narrow path that crossed the Delaware Valley. A small group of WAS members ventured to an abandoned driving range outside Vincentown, NJ, that was very near the centerline of the path. The brief transit lasted less than 1/2 second, but was observed visually through properly filtered telescopes and was also photographed by several members. This spectacular image was captured by club member Jerry Lodriguss using a digital SLR attached to a 130 mm refracting telescope. 9.27.2007: This image was used for a two-page spread in the November 2007 issue of Sky & Telescope magazine, pages 14 & 15. Congratulations Jerry! This fine image was captured by club member David Lerner with a web cam attached to an 8-inch Schmidt-Cassegrain telescope. 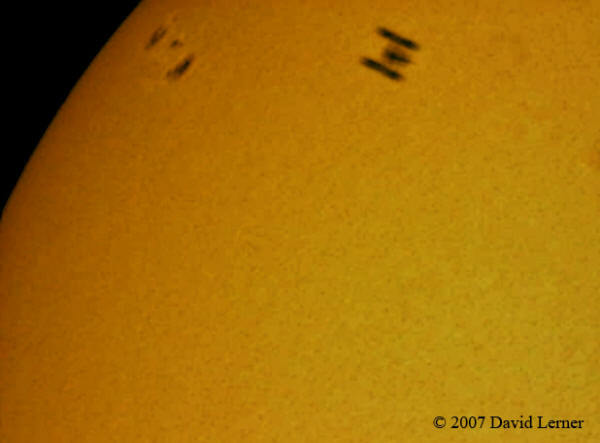 David's image was featured on Spaceweather.com for July 9, 2007.